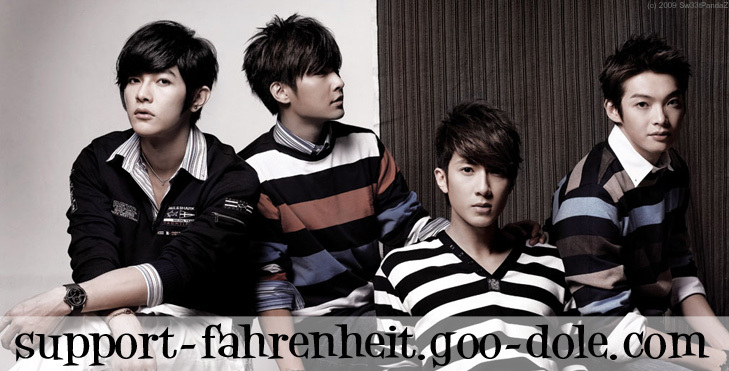 Fahrenheit Charms, Fans Lose Control. Yesterday, Fahrenheit arrived at Kuala Lumpur to endorse Canon digital camera, attracting thousands of fans to the venue, causing a loss of control. The place was so crowded that it was a mess of people running here and there, causing the touch-screen glasses of the lifts to break. It was a scene of chaos. Although they only appeared for a short 20 minutes, the fans still tried their best to grab Fahrenheit's attention and waved their hands frantically to the quartet. Jiro Wang and Aaron Yan even blew air kisses, causing the fans to go into a frenzy. During the event, they greeted the fans in Cantonese, English, Mandarin and Hokkien. The host teased them, saying that the money that they earn from endorsing products is enough to buy a mansion. Fahrenheit could only smile helplessly. However, Wu Zun said, "Frankly speaking, we do not know the amount we earn from endorsing the product." They promised the fans that from September to February next year, they will be holding a concert in Malaysia. Upon hearing this, the fans screamed in support.